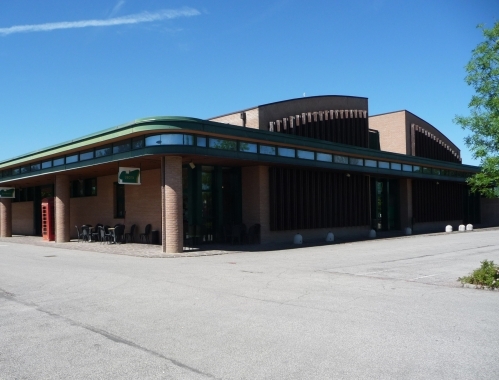 The building located at Ozzano dell'Emilia was completed in 1994 and consists of about 1700sq.m and provides self-service meals for approx. 250 people. The building is articulated in two parts: a central area in brick with a curved laminated wooden roof surrounded by a flat roofed glazed area containing the entrance and part of the dining area.